Daniel Kim and Jay Lee, the two founders of AuditBoard, a Los Angeles-based provider of a risk and compliance software service for large businesses, grew up middle school friends in Cerritos, Calif. It was from their hometown Los Angeles exurb that Kim and Lee first began plotting how they would turn their experience working for PricewaterhouseCoopers and Ernst & Young (respectively) into the software business that just managed to rake in $40 million in financing led by one of venture capital’s most-respected firms, Battery Ventures. Kim, who had moved on from the world of the big four audit firms to take positions as the head of global audit at companies as diverse as the chip component manufacturer International Rectifier and the surf and sportswear-focused clothing company Quiksilver, had complained to his childhood friend about how little had changed in the auditing world since the two men first started working in the industry. For Kim, the frustration that systems for accounting for risk and compliance — requirements under the Sarbanes-Oxley Act passed in 2002, were still little more than Excel spreadsheets tracking information across different business lines. He thought there had to be a better way for companies to manage their audit and compliance processes. So with Lee’s help, he set out to build one. The two men touted the company’s service and its ability to create an out-of-the-box system of record for all internal audit, compliance and risk teams. There are other tools out there. 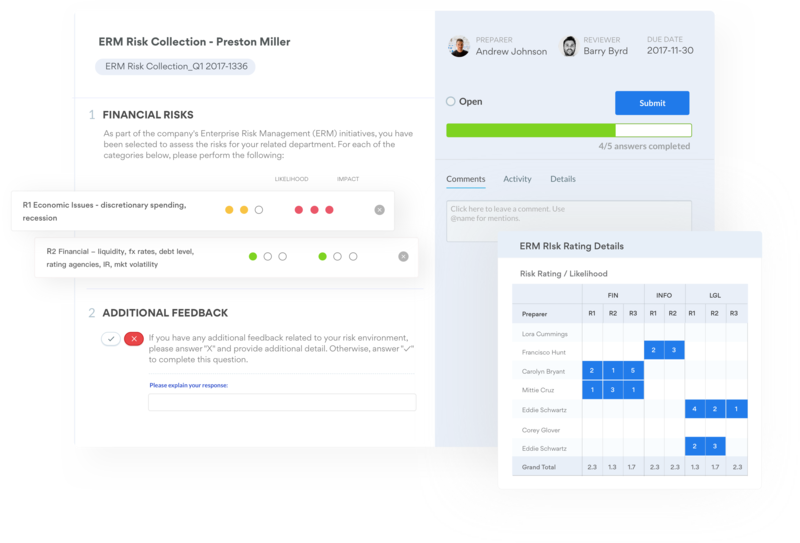 IBM has OpenPages and ThomsonReuters developed a tool for audit and risk and compliance, but these software services pre-dated Sarbanes-Oxley, and were not made with a modern organization in mind, according to Lee and Kim. The company counts major clients like TripAdvisor, Lululemon, HD Supply, Express Scripts and Spirit Airlines, among its roster of customers, and will use the funding led by Battery to further expand its sales and marketing and product development efforts. AuditBoard raised a small seed round from friends and family, and followed that up with Donnelly Financial Solutions, a strategic investor that partnered with AuditBoard in 2017 to further develop its Securities and Exchange Commission reporting and Sarbanes-Oxley toolkit. Now, AuditBoard joins a growing list of Los Angeles business-focused software companies that are beginning to scale dramatically in the city. Long known for its advertising, marketing and entertainment technology companies, large business-to-business software vendors are cropping up across the Los Angeles region. In addition to AuditBoard’s big round, companies like ServiceTitan, which raised $62 million in funding through an investment round led by Battery Ventures earlier in the year, are also making a splash in the Los Angeles business tech scene. Earlier big rounds for companies like InAuth, the security firm; Factual, a location-based targeting service; PatientPop, the management tool for physicians’ offices; RightScale, a cloud management and cost optimization service; and Oblong Industries, a collaboration and computer interface developer, all speak to the breadth of the business-to-business talent that’s emerging from Hollywoodland.